London boy Gareth Pugh is just killing us left and right. He's recently done a ken doll for matel in tribute for the 50th anniversary of Barbie. 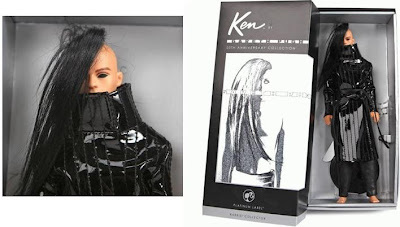 I would have died for this barbie as a little girl, despite my past immense fear of dolls and the ceremonial cutting of hair whenever I did get one... yes besides all that I would have loved my Gareth Pugh Ken. On a side note look at that perfect shot of him above by none other than JAK&JIL did you even have to ask?